Plymouth City Council is a Co-operative Council, central to this are our values of Fairness, Partnership, Democracy and Responsibility which we believe will result in a fair city where everyone does their bit. All our initiatives focused on improving the economy, therefore reflect these co-operative values. The 1000 Club is a prime example of our co-operative values work in action. It was set up through the Plymouth Growth Board – a partnership between business and senior public sector leaders. It is one of 19 projects in Plymouth’s Plan for Jobs. 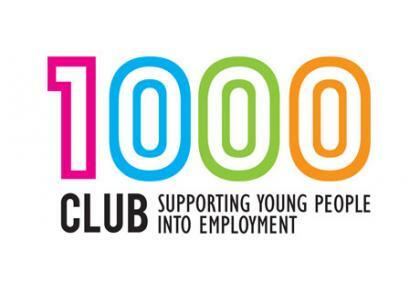 The 1000 Club initiative was established to help address unemployment, particularly those in the 18 to 24-year-old age group – 33 per cent of all claimants in Plymouth, compared with 28 per cent nationally. The 1000 Club was set up following the findings of a Plymouth City Council cross-party scrutiny panel in 2012. The panel carried out extensive stakeholder engagement and heard from witnesses including young people, a head teacher and employer Accounts Manager from the National Apprenticeship Scheme. They heard that businesses felt young people were not ‘work ready’ regardless of their route into employment. The number of organisations and different incentives and schemes relating to employment were so often confusing, onerous and time-consuming. The Club aims to recruit 1,000 local companies by May 2014 and work with them to encourage and support a young person into work either by creating a job, taking on an apprentice, work experience, graduate intern or providing a schools work experience placement. Make it easier for young people and potential employers to find each other. The Club is managed by a co-ordinator assisted by staff at the Council and supported by partner organisations. The wider partnership includes Plymouth Area Business Council, Working Links, Tomorrow’s People, Prospects, Pluss, Plymouth Community Homes and Devon Education Business Partnership. The membership comprises of businesses across different sectors in the city. Many major city companies have signed up including Kawasaki, First Great Western, Burt’s Crisps, Babcocks, The Wrigley Company Ltd, Princess Yachts International Plc and Pipex. The Club is now targeting smaller businesses that may not be able to commit to a full-time apprentice. The Council and City College Plymouth have set up an apprenticeship training agency, whereby companies can share an apprentice. The apprentice is employed by the agency, who takes on all the associated administrative duties. The Club offers businesses a ‘one-stop shop’ and provides them with independent advice on recruitment needs. Businesses are also supporting young people in other ways such as visiting schools and speaking with students. Plymouth Citybus also donated 1,000 free bus passes for those who become apprentices or get full -time work to travel free during their first week of their employment. The co-ordinator and representatives from NAS, JCP, PCC and Training Providers Network have formed a Task and Finish Group to share expertise and experience to ensure that businesses receive the best service and young people get the best support. This makes it easier for employers and young people to team up to better suit each other’s needs. The group is represented on the Heart of the South West Local Economic Partnership Skills Group. NAS and JCP promote the services of their organisations both individually and under the 1000 Club banner and the additional drive of the 1000 Club in the city is helping them meet their targets. The 1000 Club has been a real success and has made a huge difference to the prospects of over 1,000 young people – after the first year 580 companies across the city have signed up creating 1,639 opportunities within the year. The success of the Club has resulted in receiving funding from the Department of Work and Pensions’ Flexible Support Fund and a contribution from Plymouth City Council of £70,000. Plymouth Chamber of Commerce has been employed to support the 1000 Club and other aspects of the skills and employment agenda in the city. The 1000 Club co-ordinator is employed via the Chamber through this funding. A close working partnership, drive and commitment from all the partners has been key to the club’s success, so much so that the model is due to be replicated by other authorities within our Local Enterprise Partnership (LEP) area – Heart of the South West and enquiries have been received from local authorities across the country. Plymouth is submitting a bid for City Deal funding which will cover both the city’s LEP area and Cornwall’s. The skills element of the bid includes the 1000 Club and the plan to increase the services it provides to cover this larger area.